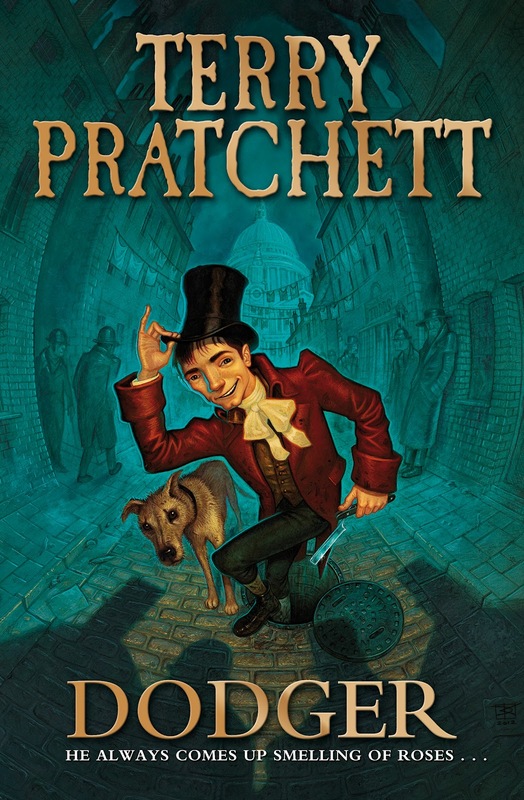 this week I’m reading Dodger by Terry Pratchett (published in September 2012). It’s a standalone book that doesn’t belong to the Discworld series. Instead it’s a YA Historical Fantasy that just came out in paperback, and I really recommend it! Seventeen-year-old Dodger may be a street urchin, but he gleans a living from London’s sewers, and he knows a jewel when he sees one. He’s not about to let anything happen to the unknown girl–not even if her fate impacts some of the most powerful people in England. This book has everything I love: Victorian London, history mixed with fantasy, a wonderful main character, an incredible supporting cast, and a great mystery. If you like this genre, I recommend it! What are YOU reading this week? Feel free to let me know in the comment section! This entry was posted in Book of the week and tagged 2012 release, Book of the Week, Dodger, EM Castellan, Terry Pratchett, Victorian Fantasy, Victorian London, YA Books, YA Historical Fantasy, Young Adult literature. I’m definitely going to have to take a look at this one. The Artful Dodger was always my favorite character.